I wanted to share my guest post over at the PharmaEvolution.com blog, Justifying New Tech Investment When the Plant Is Running Full Out. 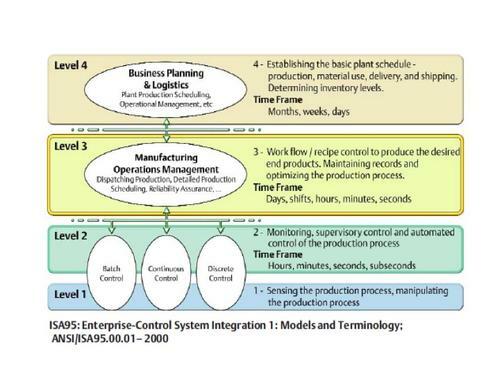 It can often be challenging to justify investing in new technology when a plant has spare capacity, as Michalle Adkins mentioned recently in an Emerson Process Experts blog post. It’s somewhat easier, she says, when the pharmaceutical plant is operating at capacity, in a situation where they can’t produce or release another lot, even if they could sell it. Adkins noted that financial justification for automation technology projects is typically easier in this scenario. The items discussed in the aforementioned post are still relevant, and can be used as part of the justification. However, in this scenario, it’s important to understand the waste and the bottleneck components of the processes — discards, delays in production, and delays in the release processes. In addition to effectively reducing wasted materials and minimizing discarded or partially discarded lots, the bottleneck of the overall process must be identified. Once this is understood, turnover times, scheduled and unscheduled downtime, deviations, and documentation errors associated with the bottlenecks in the production and the release processes should be analyzed. Batch-to-batch turnover is the time it takes from the end of one batch to prepare the production vessel, areas, or lines for the next batch. This process typically involves clean-in-place (CIP) operations for the most processing equipment, cleaning and changing parts for oral solid dosage formulation equipment, and line clearances and changing parts for packaging equipment. The bottleneck is the first item that must be determined in order to make any significant impact on the throughput of the facility. The root causes for any bottlenecks in the production process and the release process must be determined in order to ensure that product can be released faster even as the production throughput is increased. Additionally, the root causes for unscheduled downtime should be determined (particularly at the bottleneck step). Downtime, whether scheduled or unscheduled, directly impacts capacity — not only the duration of the downtime, but also during the shutdown, CIP, and startup sequences to get the batches running. When running at capacity, the windows for scheduled downtime can be extremely small. Automation can play a large role in reducing downtime through continuous diagnosis, not only of the process conditions, but also of the instrumentation and production assets, such as control valves, pumps/agitators and motors, mixers, dryers, etc. Early detection of abnormal conditions can allow operator and maintenance activities to prevent a failure during the batch, and take appropriate corrective action to prevent the loss of a batch. Deviations and discrepancies can be addressed by capturing real-time process and workflow information for the electronic batch record as the batch progresses. Operations Management software, in combination with the process control system, can detect conditions before these deviations and discrepancies occur, while there is still time to fix the issue and save the batch. The current method of operations often includes paper batch records and manual data transcriptions throughout the work process. If this is the case, batch release times may not be optimal due to the time involved with resolving errors and deviations prevalent in the paper paradigm — paper record reviews by the Quality and Production departments. Improving these work processes requires building organizational consensus in the project conception and identification of requirements. A cross-functional team representing Operations, Quality, IT, Engineering, Automation, Plant Management, Corporate Management, and Validation departments is essential in moving forward with a change to the status quo. Since optimization requires technology and workflow changes, it’s important to have this cross-functional team working together to understand and support the improvements. From initial idea and project inception through project completion, it is imperative to have the right team involved, because there is more at stake than just technology. Organizational change management is also a key part of an ultimately successful solution. Make sure to check out the numerous comments on the original PharmaEvolution.com post and share your thoughts. Posted Monday, April 15th, 2013 under Life Sciences.